Students from 40 states and 60 countries take advantage of the University of Maine's diverse educational opportunities - 90 undergraduate majors and academic programs, 70 master's degree programs and 35 doctoral programs. In-state freshmen who meet the academic criteria are automatically considered for the following scholarships: UMaine Presidential Scholarship ($8,000/year), UMaine Flagship Scholarship ($8,000/year), UMaine Dean's Scholarship ($4,000/year) and UMaine Black Bear Scholarship ($1,000/year). Non-resident freshmen as well as those paying reduced tuition rates under the New England Board of Higher Education program receive higher annual awards. Forty Transfer Merit Awards are available each year ($2,000/year). Students with a socio-economic background, work experience or educational interest that would add to the diversity of the university are considered for the Carole L. Hyman Scholarship Fund. With campuses in the economic and population centers of the region, the University of Southern Maine is committed to giving its students a high-quality, affordable education supported and enhanced by real-world learning experiences. Incoming first-year students are automatically considered for the following merit-based awards: President's Scholar Award ($4,000 annually), Dirigo Scholar Award ($2,500 annually), USM Scholar Award ($1,750 annually) and the Bright Future Grant ($1,000 annually). All non-Maine resident freshmen will be considered for these scholarships as well as for the USM Husky Grant ($4,000 annually), which is only for freshmen who are not Maine residents. Incoming, continuing or transfer students from York High School or York County Community College may apply to be considered for the Charles J. Hoff Matching Scholarship Program ($4,000 annually). In addition to charging state residents low tuition, University of Maine at Machias gives out $2.5 million to further lower the cost. That includes a pair of automatic awards for freshmen: the Bold and Presidential Scholarships. The former is worth $2,000 per year with a 2.5 high school GPA and a 950 on the SAT. Double the money by getting a 3.0 and 1020 - that's the Presidential Scholarship. Transfer students receive $1,000 to $2,000 annually for the same awards. Nonresidents from surrounding states can capitalize on reduced tuition if they enroll in an eligible major under the New England Regional Program. All nonresidents with good GPAs and SAT scores can lower tuition with the $4,500 Sunrise Scholarship or the $5,500 Acadia Scholarship. The University of Maine at Fort Kent has the highest percentage of international students of any college in New England, thanks to its location in the St. John Valley, near Quebec and New Brunswick. In the 2013-14 academic year, 88 percent of full-time incoming undergrads received grants or scholarships with an average award of $5,626. Merit-based scholarships include the Bengal Gold ($2,000) and Bengal Silver ($1,000) scholarships awarded to incoming freshmen from Maine based on class rank and SAT. Out-of-state freshmen are also eligible for Bengal scholarships ($2,500 to $5,000). The university also offers Bengal Academic Scholarships ($1,000 to $6,000) to Canadian students who enter as freshmen or who transfer to UMFK later in their college career. The University of Maine at Farmington is a small public liberal arts college located close to outdoor activities including skiing, snowboarding and rafting. About 93 percent of full-time students receive some financial assistance, with aid packages averaging $13,332 in 2014. More than half the student body participates in student employment programs, including work-study jobs. Maine residents who graduated in the top 30 percent of their high school class receive a UMF Merit Scholarship ($1,000 to $3,000 per year, renewable for four years). Out-of-state students in the top 30 percent of their high school class can receive $2,000 to $8,000 a year, and the college also offers a Diversity Scholarship ($2,000 to $4,000). Transfer students can earn a $1,000 academic scholarship. On the surface, Maine has a real lack of state-sponsored financial aid: the state has one grant program for students with financial need, and awards cover less than 20% of the average cost of tuition. Look deeper, however, and you’ll see several methods to chip away at college costs. All students can essentially get their first two courses at a University of Maine System (UMS) school paid for, high school juniors and seniors can get a free head start on college credit, and there are both state and UMS tuition waivers for seniors, Native Americans and other students. Additionally, future educators and healthcare workers have plenty of access to college loans, which may then be forgiven if they stay in the state for work. Last, Maine students can, of course, qualify for federal grants and loans, and they can also easily apply for institutional and private scholarships. And as for student life outside the classroom, Maine is loaded with social services for people in need of cheap housing and healthcare, free food and affordable transportation. In Maine, students are encouraged to start their degree at one of the state’s community colleges and then finish a four-year degree at one of Maine’s public universities. Students who want a guaranteed transfer of associate degree can do so through the AdvantageU program. Maine students also benefit from the opportunity to complete a reverse transfer degree, earning an associate degree credential while working on a four-year degree. The AdvantageU program offers a guaranteed transfer of associate degrees. Students register for participation while enrolled in a community college associate degree program, and upon completion of the degree, all credits transfer to a Maine public university. Students will transfer to the university with junior standing and will not have a university application fee, provided they have earned the minimum GPA for guaranteed admission. The program also offers early advising for students’ desired university major. Maine also offers a reverse transfer program. With this program, students who are enrolled in a four-year degree program and have earned at least 15 credits at a community college can earn an associate degree. Credits earned at the community college and four-year university are combined to fulfill the requirements for an associate degree. Students can find out how completed college credits will transfer with the Transfer Credit Evaluation Portal. This portal offers an unofficial evaluation of how credits will be applied to a degree. To make college cheap, most students need financial aid. There are three places to start your search. The first is Finance Authority of Maine (FAME). Its website covers six thematic areas: money management, saving for college, choosing a college, paying for college, filing the FAFSA and managing student loans. To be more specific, on the site you can find information about the state’s 529 Savings Plan for college, search for specific degree programs at different Maine schools, apply for state college funding, prepare to file the Free Application for Federal Student Aid (FAFSA), and then get help crafting an affordable repayment plan for whatever loans you receive. There’s more. FAME also offers free in-person help filling out the FAFSA, with fall dates across the state. And it has set up The Loan for ME to provide prospective and existing borrowers with private loan and consolidation options. The second place to explore is the Maine Department of Education website. Although most of the site is geared toward K-12 learners, some sections are relevant to future collegians. The site highlights several early college programs, many of which, including Academ-e and Early College for ME, offer heavily discounted or free courses for Maine high school students. It also provides info on the Maine College Transitions (MCT) program, a way for adults either with or without high school diplomas to get the counseling and instruction they need to take the next step and go to college. Finally, the DOE website also links to the University of Maine System and Maine Community College System, both of which have information on systemwide and school-specific financial aid. The last place to look is the Maine Community Foundation, home to over 500 scholarship funds. Not every one will apply to you, but many will. Get a head start by reading about the funds in the fall before you plan to attend. Then make a calendar detailing when each application is due and what documents are required. 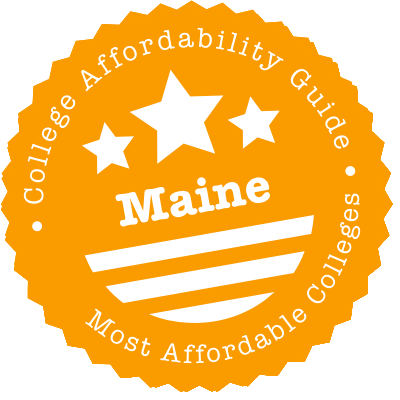 Summary: Up to $1,700 a year is available to Maine undergrads who need it. Eligibility: Anyone enrolled at least half time at a qualifying school is eligible. Then it all comes down to financial need. As long as students’ expected family contribution (EFC) according to the FAFSA does not exceed the maximum (which was $5,000 in 2016-2017), they qualify. How to Apply: Simple. Just file your FAFSA by May 1st. Resubmit each year. Summary: Going back to school after a long time away can be hard. But $4,000 annually for up to four years can make it a bit easier. Eligibility: Maine residents qualify once they’ve re-enrolled in an initial bachelor’s degree program at a University of Maine campus after three years away from school. They must have already earned 30 college credits and require financial assistance to complete their degree. How to Apply: After enrolling and registering for at least two classes per term, complete the short online application, preferably after meeting with your campus “navigator” to review eligibility criteria and your college plans. Apply by August 1st for the fall semester or December 1st for the spring semester. You’ll need to complete the FAFSA by that same deadline for your application to be complete. Renew by June 1st each year. Summary: Go to Maine for medical school and you might get a substantial chunk of your tuition paid for — up to 50% or $25,000 a year. Eligibility: Applicants have to have been a resident for at least a year, and FAME prefers students who graduated high school and/or college in Maine and who have parents in the state. How to Apply: Enroll at Tufts University School of Medicine Maine Medical Center or the University of New England College of Osteopathic Medicine, then contact the school for an application. Summary: Maine teachers can go back to the classroom as students in courses they believe will make them better educators. After applying to two different scholarship funds, awardees can get a full tuition waiver at a University of Maine campus as well as an additional 30% of that amount toward education-related expenses. Eligibility: Currently practicing certified teachers in Maine public schools are eligible, provided they are responsible for teaching mathematics, science or a foreign language. Scholarship recipients are selected in part based upon the potential of the courses to increase their teaching effectiveness. How to Apply: Mail an application to the University of Maine Office of Student Financial Aid along with a reference letter at least two weeks before the start of the semester. Summary: Over 260 employers representing 70,000+ Mainers participate in a scholarship program that encourages their employees to go to college while working. Eligibility: Part-time or full-time employees who have been at a Next Step Maine employer for at least one year are eligible for a scholarship toward a certificate, associate degree or bachelor’s degree program at a University of Maine campus. How to Apply: Ask your employer to nominate you between February and April and to fill out an Employer Nominator Form. There’s an Employee Nominee Form for you to submit as well. Summary: This award is designed for students who want to test out college life by starting with a couple of courses. It covers tuition, books and fees for two classes. Eligibility: Maine residents can receive the award if they have either never been to college or dropped out more than three years ago with 30 credit hours or fewer to their name. They must enroll at a University of Maine System college or at a University College Center. How to Apply: Request the scholarship by mailing a short form to University College Learning Services. Summary: Future teachers can snag up to $12,000 in loans ($8,000 for graduate students), which they can repay upon graduation or take steps to have forgiven. Eligibility: Maine residents with a 3.0 GPA qualify when they enroll in a full-time undergraduate or (at least half-time) graduate program anywhere in the U.S. that leads to an initial certification as a teacher, speech pathologist or child care provider. How to Apply: Submit the Educators for Maine Program application by May 1st along with a personal essay and your most recent transcript. File the FAFSA separately, also by May 1st. Renew each year. Summary: Stay in Maine to teach so you can write off your Educators for Maine student loan debt. Eligibility: Teachers who have graduated in the past five years and who are employed as an educator at a qualifying state school or child care facility are eligible to have one year of their loan forgiven for each year of service. Those who teach in an “underserved subject area” get two years’ worth of loans forgiven for each year of service. How to Apply: Send proof of certification and state employment to FAME. Toward the end of your first year teaching, you’ll receive an employment verification form, which you must return to have your loan forgiven. Summary: Up to $60,000 in student loans can be written off for lawyers who serve as state or federal public defenders or state prosecutors for three years. Eligibility: Full-time lawyers working for state or local governments as prosecutors qualify, as do public defenders, federal defenders and attorneys at nonprofit organizations that provide legal representation to the poor. How to Apply: Check back throughout the year for the application to become available. Renew by December 1st each year. Summary: Dentists need loans, and the state needs dentists. That’s why Maine makes $20,000 a year in loans available to aspiring dentists. Eligibility: Anyone who’s been a Maine resident for two years prior to going to school can apply once that person has enrolled in a program leading to a DDS or DMD anywhere in the U.S. This loan is meant to be forgiven under certain conditions, so students who want to return to Maine to work with poor populations take priority. How to Apply: Submit the Maine Dental Education Loan Program application by May 30th with a personal essay, transcripts and proof of residency. File the FAFSA separately, also by May 30th. Renew each year by the same date. Summary: Get your Maine Dental Education Loan forgiven. Just come back to Maine for employment, and 25% of the loan will be waived for each year you keep working. Eligibility: Maine Dental Education Loan recipients are eligible if they work in underserved areas at facilities that accept patients with limited financial resources. How to Apply: After landing a job, contact FAME to start the process, which includes showing proof of employment. You can also apply for the Maine Dental Education Loan Repayment Program, which provides identical benefits. Summary: Postgraduates with financial need can get a $25,000-a-year loan to pursue a career in medicine, dentistry or veterinary medicine anywhere in the U.S. Better still, if they teach in a Health Professional Shortage Area in the state, there’s no interest on the loan. Eligibility: Maine residents in a dentistry program or allopathic, osteopathic or veterinary medicine program qualify. However, priority goes to students with the most financial need, and then to allopathic and osteopathic students who don’t receive a Doctors for Maine’s Future Scholarship. How to Apply: Submit the Health Professions Loan Program application by May 30th along with your undergraduate and graduate transcripts and proof of residency. File the FAFSA separately, also by May 30th. Renew each year by the same date. Summary: Maine students in a Doctor of Medicine or Doctor of Osteopathic Medicine program anywhere in the U.S. can get a loan of at least $2,000 for medical school along with perks such as free American Medical Association membership and deferred interest. Eligibility: Maine residents accepted into medical school are eligible. How to Apply: Submit an AMA membership application along with your acceptance letter and a reference from your medical school to the Maine Medical Education Foundation by May 1st. Summary: Want to be a vet but can’t afford it? This loan is an opportunity to get $25,000 a year for a program. Get it forgiven by sticking around to work in a part of the state with a shortage of veterinary services. Eligibility: Students qualify if they have been Maine residents for two years prior to matriculating in veterinary school. Awards go to students with financial need who want to return to Maine to practice livestock veterinary medicine. How to Apply: Submit the Maine Veterinary Medicine Loan Program application by May 30th along with an essay and proof of residency. File the FAFSA separately, also by May 30th. Renew each year by the same date. To have it forgiven upon entering the workforce in Maine, contact FAME. Summary: Current Maine National Guard members without a bachelor’s degree can earn one tuition-free at the Maine Maritime Academy or any school within the University of Maine or Maine Community College systems. Eligibility: Fully qualified drilling members are eligible. How to Apply: Get accepted to a school. Then, contact your financial aid office and the Maine Army National Guard’s education officer for steps on applying the waiver toward your bill. Summary: Spouses and children of permanently disabled or deceased military veterans have their tuition and fees waived at the Maine Maritime Academy or schools within the University of Maine or Maine Community College systems. Eligibility: The veteran must have been captured, killed or disabled as a result of military service. She or he must also have been a Maine resident for five years. How to Apply: Fill out a short application, and submit it to the Bureau of Veterans’ Services along with documentation, which will differ depending on whether you are a spouse, biological child, step child or adopted child of the veteran. Summary: Mainers can get help paying off a portion of their student debt after graduation by working in the state and claiming their loans on their taxes. Eligibility: Maine residents with student loans qualify. However, the eligibility guidelines changed in 2016, meaning there are different standards depending upon the student’s graduation date. How to Apply: Submit the Educational Opportunity Tax Credit Worksheet as part of your Maine income tax return. Summary: High school juniors and seniors can get an early — and free — taste of college life by signing up for two courses per semester at a UMS campus. The credits they earn count toward a postsecondary degree. Eligibility: Maine high school students with a 3.0 GPA are eligible. They must be recommended by their guidance counselor and have their parents’ permission. Further, they must satisfy course prerequisites. How to Apply: Contact the Student Services Coordinator at University College at Saco for current program application details. Summary: Members of Native American tribes may not have to pay tuition or fees at UMS schools. On top of that, income-elibile students may also receive a full grant for room and board. Eligibility: There are quite a few routes to eligibility, including being a member of a tribe in the region, having a grandparent included in a local tribal census or being a Maine resident from a recognized tribe elsewhere in the U.S.
How to Apply: Submit the FAFSA by September 1st (for the fall semester) or January 1st (for the spring semester). At the same time, send all required documentation to your campus’ financial aid office at the campus you are attending. This will include proof of tribal status and/or residency. Summary: Maine students who can’t find a degree program they like can pay a discounted price to enroll in a baccalaureate or graduate program in Connecticut, Massachusetts, New Hampshire, Rhode Island or Vermont. Eligibility: Maine residents accepted into an approved degree program are eligible. How to Apply: Just indicate on your college application that you’re applying for Regional Student Program status. Summary: Maine residents above the age of 64 can ignore the tuition and fees for undergraduate programs at UMS schools. Eligibility: Enrollment depends upon space in the classroom. How to Apply: Contact your school’s financial aid office. Summary: Current and former wards of the state receive a renewable tuition waiver from the Maine Department of Health and Human Services (DHHS) to earn an undergraduate degree at a public college in Maine. Eligibility: High school graduates can apply if they are in state foster care, have been adopted from state foster care, or have a permanent guardian. How to Apply: Complete the Tuition Waiver Program application online, and furnish proof of acceptance in a Maine degree program. You must also submit your FAFSA. Applications go online in February; don’t wait too long, because funding is on a first-come, first-served basis. Summary: When firefighters, law enforcement officers or emergency medical service workers are killed in the line of duty, their children or spouses do not have to worry about affording a college education. They pay $0 in tuition to Maine public colleges. Eligibility: For children to be eligible, they must have been under 21 at the time of the public servant’s death. How to Apply: Complete the Tuition Waiver Program application online at any time, and show documentation of acceptance in a Maine degree program. You’ll also need to verify your relationship to the deceased as well as verify the death itself. Submitting the FAFSA is also part of the application process. The Maine Department of Health and Human Services (DHHS) covers most of the state’s benefit programs designed to make life affordable for struggling college students. To give a few examples of what’s available with regard to health, DHHS houses MaineCare (Medicaid), a program which keeps healthcare costs extra low for people of limited means. CubCare, also under DHHS, is a similar program for residents’ children. On the human services side, DHHS facilitates the state’s Child Care Subsidy Program, which lowers the cost of day care or preschool for college-going parents, and the Food Supplement Program (food stamps), which gives low-income recipients grocery money each month. DHHS also has a decent catalog of government services. For instance, it directs residents to the Maine State Housing Authority for enrollment in the Low Income Home Energy Assistance Program (LIHEAP), where they can get cheaper electricity bills. Likewise, it publishes a Head Start locator for people who qualify for free child care. You can apply for some of these programs at My Maine Connection, but a better bet may be to get personalized help from your local community action agency. It’s a place that puts people with low or moderate incomes in touch with programs that can lower their expenses. The Maine Community Action Association represents 10 such agencies scattered across the state. One of those agencies, The Opportunity Alliance, works with United Way to provide a comprehensive list of government and nongovernmental organizations actively working to decrease poverty in the state. Find that searchable list at 2-1-1 Maine. It’s common for schools to require new students to live on campus unless they receive an exemption. Such is the case at University of Maine and University of Maine at Fort Kent (UMFK). Some demographic groups qualify for housing grants, including Native American students attending a University of Maine System college. For budget-conscious students who don’t qualify for such an award, most colleges provide several housing options. Freshmen at UMFK, for instance, can opt to live with a roommate in a traditional residence hall, which is much cheaper than a suite at “The Lodge.” Keep in mind that living in a residence hall at any college includes purchasing a mandatory meal plan. On the plus side, you won’t have to worry about making dinner at all during the year, but for frugal students, the cost of a meal plan (e.g. University of Southern Maine) may represent more than you want to spend on food. To determine whether living and eating on campus is a good deal for you, use Yahoo’s customized calculator. Outside of Portland, the cost of living off campus in Maine isn’t too bad. True, utility bills are high, so come January you might wish you lived in a residence hall where the heating is included in the price. But rents throughout much of the state are below the national average. Some schools, such as UM Farmington, don’t require any students to live on campus, so if you do decide to live off campus, UMF’s Student Life Office can help you find a place. And while University of Maine mandates that freshmen must live on campus, it recognizes that many students want to venture out on their own after they’ve made friends during their first year. It maintains a valuable off-campus housing page, complete with an online listing service and details about its biannual renter’s fair. Of course, if your school doesn’t offer much assistance to commuters or off-campus denizens, nothing’s stopping you from doing your own housing search. The conveniently named MaineHousingSearch.org has you covered. Plus, if you think you might qualify for subsidized housing, there are county-by-county listings on Maine State Housing Authority, while those from southern Maine can find even more subsidized apartments at Avesta Housing. But if subsidies aren’t going to be enough and you need an immediate spot to sleep, don’t be afraid to go to a shelter. It’s not so much that utility costs in Maine are high. It’s more that the state gets really cold, which is why Mainers must pay out for heat. And that’s on top of electricity bills. If you live off campus, you do have ways to lower your bill, with Maine allowing competitive electricity providers to enter the market. Learn more about how to use the state’s system to your financial advantage at the Maine Public Utilities Commission. MPUC is only a regulator, so if you need help paying your bills you’ll have to turn elsewhere. Fortunately, the state has four programs to help low-income residents with high utility costs. All are run by the Maine State Housing Authority. The Low Income Home Energy Assistance Program subsidizes Mainers’ high winter heating bills, and the Low Income Assistance Plan provides money to residents to pay electricity bills. Anyone screened for LIHEAP should also be screened for the Weatherization Program, through which residents receive free repairs that increase home energy efficiency and, therefore, decrease monthly bills. The Central Heating Improvement Program does the same thing, only with a focus on heating repairs. If you don’t qualify for one of these programs, you can still reduce utility costs. For instance, Emera Maine is developing a program that would allow its 159,000 customers to finance purchases of heat pumps that will save them money over the long run. Finally, don’t forget that you’ll be on the hook for internet as well if you live off campus. To have affordable high-speed broadband while you’re doing research for that history essay, find a provider through ConnectME. Apart from University of New England’s College of Osteopathic Medicine, there are no medical schools in Maine, and the dearth of graduates may be partially to blame for the state’s above-average healthcare costs. But you can generally avoid high copays and clinic costs in one of two ways. First, use your campus clinic. Just about every school has one, and often you’re already paying for part of it through a student health fee, which keeps the cost of service low. Some, such as Cutler Health Center at University of Maine, also have financial assistance for students needing essential treatment. One advantage of campus clinics is they offer counseling services, which are usually free, although you can also find a list of community mental health resources at the Maine Department of Health and Human Services. Second, you can go off campus to a community health center, which believes in providing quality healthcare at sliding scale rates. The Maine Primary Care Association lists community health centers in the state, including those that offer oral care. Maine Center for Disease Control & Prevention maintains its own list of dental programs, which is more comprehensive. One of the things you’ll find on that list is the dental hygiene program’s clinic at the University of Maine at Augusta – Bangor campus, which is open from September to April and provides low-cost care to area residents, including students. A similar clinic exists at University of New England’s School of Dental Hygiene in Portland. If you have young kids, you’re going to need child care while you’re in class. Fortunately, at some colleges you can even take them to campus with you. That’s because schools such as University of Maine at Farmington have their own programs for children of students, including preschool, pre-K, early care and infant-toddler playgroups. University of Maine Children’s Center, meanwhile has two separate full-time programs — one each for infants/toddlers and preschoolers. Prices will be less if you qualify for Maine’s Child Care Subsidy Program, which can also be used toward licensed providers found through Child Care Choices. Use its search tool to filter facilities by location, age groups and quality rating. And some extra money will come back to you at tax time, as long as you check the box for the dependent care state tax credit. One of the biggest hidden costs for college students is transportation. Having a car at school means shelling out for gas, paying for insurance and buying a campus parking pass. Yet college is one of the few times in life when you probably don’t need a car, especially if you live on campus. Even if you don’t, most universities have public transportation deals for students. For instance, EMCC, UM and Husson University students ride free on Bangor’s Community Connector. And University of Maine fills the gaps for its students with the Black Bear Orono Express, which runs routes around campus and Orono 15 hours a day Monday through Friday. Further south, University of Southern Maine shuttles students between its Gorham and Portland campuses, and its students get discounts on Portland METRO passes. University of Maine at Fort Kent is a bit different due to its rural location. It notes the lack of area public transportation on its website; the school will arrange for a shuttle if you need to get to the airport, but you’ll have to notify it three days in advance and pay for use of the vehicle and driver. As the price of higher education rises, many students cut food from their budgets. Recognizing this as a real threat to their students’ academic and personal well-being, two of the state’s colleges have established on-campus food pantries for students to use. Captain’s Cupboard at Southern Maine Community College is one. The other is University of Maine’s Black Bear Exchange, which is also open to students at other campuses. Just present an ID card. Students not near these areas can visit off-campus food pantries that are part of The Emergency Food Assistance Program (TEFAP). And pregnant and nursing mothers should never be skipping meals. They can get staple grocery items for free through the Maine WIC Program. University of Southern Maine, University of New England and Maine College of Art are all located in Portland, a beautiful town that comes with a high cost of living. Across the board, everything’s just a bit more expensive in Portland than it is elsewhere in the country, from housing and utilities to groceries and healthcare. However, there are a number of ways to reduce all of these costs to manageable levels. University of Southern Maine students can use discounted Portland METRO passes. Across the bay, Southern Maine Community College students with tight budgets can visit Captain’s Cupboard, the on-campus food pantry. All local residents can sit in a dentist’s chair at the dental hygiene clinic on University of New England’s campus, a teaching clinic with prices lower than most other offices. And people from Southern Maine with a low income can snag one of Avesta Housing’s subsidized Portland apartments. City of Portland Health and Human Services Department‘s Public Health Division can set up free home visits with checkups as part of its Maternal and Child Health program if you have a child under five. Meanwhile, its Social Services Division runs the General Assistance Program, which provides low-income residents with vouchers for rent, food, utilities and other basic needs. The Opportunity Alliance does a lot of good. It runs early childhood education programs, including Head Start. It’s registered as an official WIC administrator. It manages its own low-cost apartments. It screens people for LIHEAP and other energy assistance programs. And it even runs a Plumbing Assistance Program to help out homeowners with leaky pipes and empty wallets. Pine Tree Legal Assistance, which also has offices in Lewiston and Bangor, isn’t just there for people who need to go to court. It’s also a free resource for low-income Mainers who need legal advice and assistance on issues as varied as preventing a home eviction, applying for state benefits, or understanding the fine print on their student loans. Portland Adult Education is a hub for Maine College Transitions programs, which include instruction on exploring college options; improving math, reading, writing and technology skills; applying for financial aid and college admission; taking college placement exams; and sharpening study and time management skills. Portland Housing Authority distributes Section 8 Housing Vouchers for Portlanders who qualify for rent subsidies. It also owns over 570 of its own units, which it rents out for below-market rates. One advantage of living in public housing is that some sites include Head Start centers and/or food pantries. This is just a sample of what the Forest City offers. For more avenues to assistance, some of which you probably didn’t know existed, do a guided search on 2-1-1 Maine. If you’re planning on enrolling at Bates College, University of Southern Maine’s Lewiston-Auburn College, or the two-year Maine College of Health Professions, you’ll become quite familiar with Lewiston. This town of 40,000 would be just as expensive a place to live as elsewhere in the state if not for low housing costs. Renters and buyers alike can find good deals in Lewiston as well as in Auburn, it’s twin town across the Androscoggin River, where Central Maine Community College is located. USM students can lower costs further by picking a place to live based on cost rather than geography. Then, they can use their free citylink bus pass to get to campus. City of Lewiston Social Services Department, like all Maine cities and towns, runs a General Assistance Program, which provides short-term help to residents needing money to pay for rent, utilities, groceries and other necessities. Community Concepts is a local administrator of many of the social services available in Maine. Need LIHEAP utility subsidies or emergency fuel to heat your house? Go there. Want to sign a dependent up for cheap child care with Head Start? Community Concepts runs a program. It also does its own thing, including renting out low-cost housing and providing free credit counseling. Lewiston Adult Education is where to go if you need to cheaply take courses to prepare for the GED. You can also register for the free College Transition Program, a 14-week course that will improve your study habits and time management skills while guiding you through the maze of college and financial aid applications. You can even brush up on math and hone your writing skills through the separate Bridge to College Transitions course, which is also free. Living in Lewiston or Auburn and want a more comprehensive view of social services in your area? 2-1-1 Maine will do the heavy lifting and find applicable resources for you. University of Maine’s flagship campus is in Orono, just up I-95 from Bangor. Students there — or at Eastern Maine Community College or Husson University — should feel just fine with the cost of living, which remains only a tick above the national average. But to take it a notch or two below the national average, you can do a few things, regardless of where you go to school. The first is to visit the University of Maine’s food cupboard, which welcomes students from any college in the state. The second is to use Bangor’s Community Connector to get around for free. Last, when it’s time for a tooth cleaning, visit the dental hygiene students at the University of Maine at Augusta – Bangor; they run a low-cost clinic that can make your teeth sparkle. Bangor Adult & Community Education is a good stopping point if you’re not ready to go to college in the next six months or so. You can get your high school diploma or equivalency through one of its courses. There is also an extended College Transition Program to walk you through the steps of applying to, paying for and succeeding in college. Bangor Housing owns properties throughout the city that it then rents out at rates based on your income. You can get more choice over where you live by taking part in the Section 8 Housing Voucher Program, although this is such a popular program that the waiting list is sometimes closed. Bangor Public Health and Community Services provides, through its General Assistance Program, emergency funds for residents who need help paying rent, affording groceries or keeping the lights on and have exhausted all their options. It also runs multiple WIC offices for pregnant and nursing mothers to get nutritious food and breastfeeding support. All women who are pregnant or have young children also automatically qualify for free regular visits from a public health nurse. Penquis does a lot for its community. A quick survey of its programs reveals that it rents out over 80 properties at exceptionally low rates, administers heating assistance through LIHEAP and the Central Heating and Improvement Program, and runs five Early Head Start centers as well as sliding-payment child care for families who don’t qualify for Head Start. There’s more in Bangor. Look to 2-1-1 Maine for a complete list.